The regular Alberta Slip lithium brown recipe crazes on porcelain. This one was formulated to maintain the appearance but reduce the thermal expansion. It does this by reducing the KNaO and increasing the MgO. This was effected by employing MgO sourcing frit 3249. This frit is more expensive and difficult to get but it is the only way we have found to effectively reduce the thermal expansion and maintain the aesthetic. Like the original albany glaze, this recipe contains lithium carbonate (which is partially soluble), thus the slurry can gel over time. This necessitates the addition of water and increases the drying shrinkage and there cracking (which results in crawling). We are working on substituting a lithium frit to eliminate this issue. Alberta Slip cone 6 lithium brown (GA6-G1) on a red burning clay (left Plainsman M390) and buff burning (right M340). Obviously this looks better on the former where iron from the underlying body variegates the entire surface and bleeds through on contours where the glaze is thinner, creating a breaking effect. 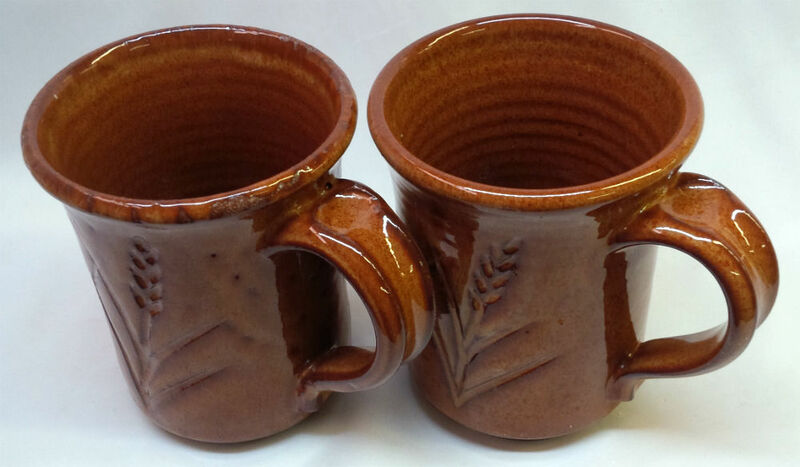 These mugs are fired at cone 6 with GA6-G1 Alberta Slip lithium brown. The difference: the ratio of raw to calcine Alberta Slip. 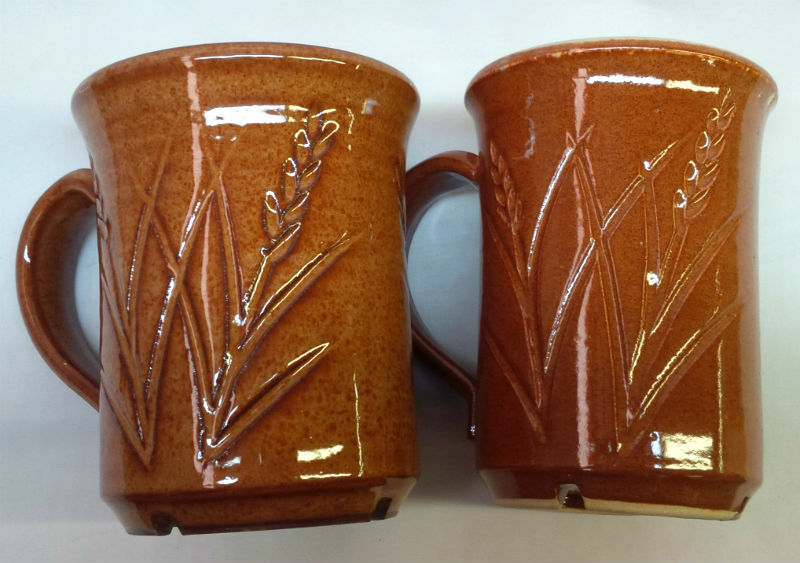 In this glaze, a 50:50 ratio was not working well (left). The glaze was shrinking too much on drying, then crawling on firing (it needs to be thickly applied to get the visual effect I want). I mixed the recipe using pure calcine Alberta Slip, then repeated a cycle of pouring a little of this into the 50:50 mix and trying it. I kept doing that and glazing another mug until I had a minimum of drying cracks (while still having good gelling, application properties and dry hardness). The mug on the right was the last cycle, it has fired perfect. Using this technique I can perfect the ratio of raw:calcine for each Alberta Slip glaze I use.